The day after arriving to San Pedro de Atacama in Chile, I twisted my left knee after a wrong landing at the climbing gym. This little incident put me out of circulation for a full week. As I spent my days lying down on my hostel bed, I saw many travellers come and go. Those arriving from the Salar de Uyuni, the largest salt flats on earth, were invariably awe-struck. Some went as far to claim that it was the best experience on their trip to South America. A couple of weeks later, it was my turn to go. It was thrilling to be back on the road, heading to a whole new country and passing through some of the most surreal landscapes on the continent. We left San Pedro de Atacama way before the crack of dawn. Our first stop was the border crossing in Ollagüe, a seemingly random spot in the middle of nowhere. Right then it became obvious that Bolivia would be a completely different experience than Chile. 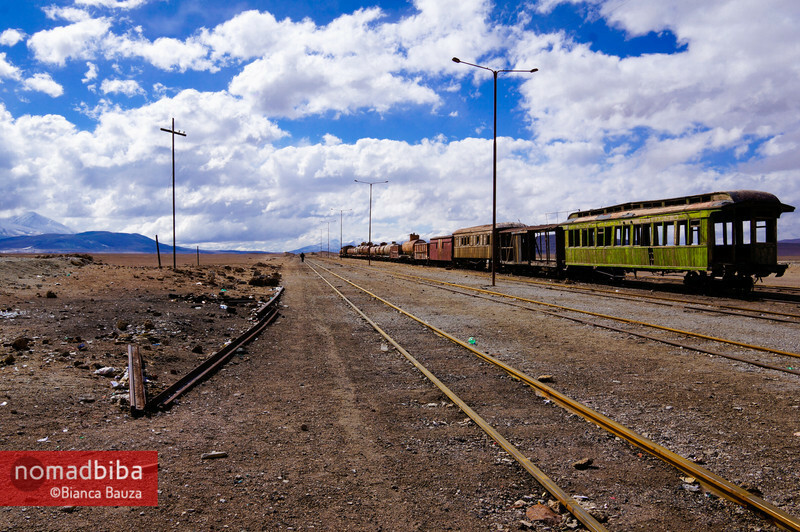 Normally, the tours going from San Pedro de Atacama to Uyuni cross the border at a different point. However, during those days there was too much snow on the ground and it wasn’t possible to pass that way. 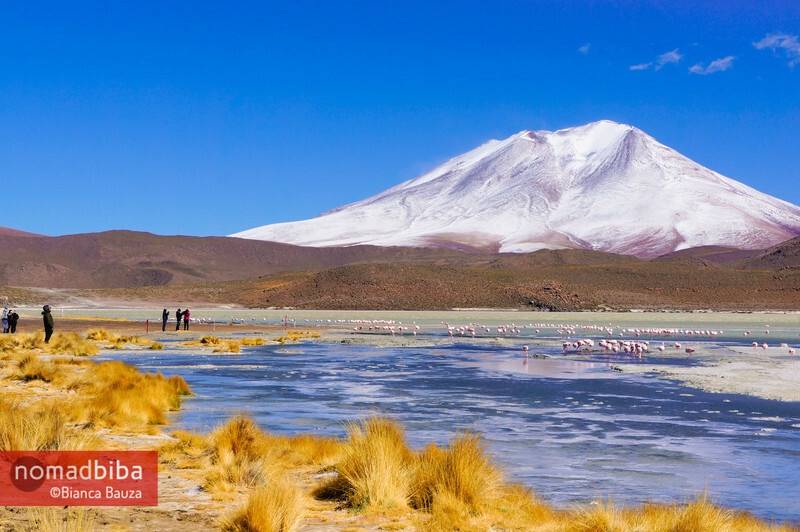 It was unfortunate because we missed seeing Laguna Verde and Laguna Blanca, a couple of the main sights on the tour. A few kilometres from the border, we stopped first to get a better view of the enormous Ollagüe volcano. 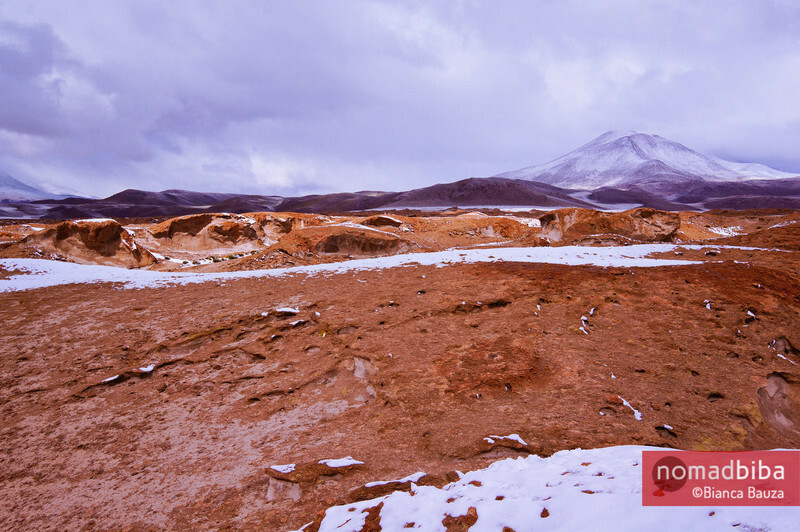 The red and rocky soil gives this landscape a Martian feel. Our next stop was at Laguna Negra (Black Lagoon), a somber pond of dark waters. When we got there it started to snow; as if the foot-deep white blanket on the ground wasn’t enough! Without a doubt, the most spectacular sight of the day was Laguna Colorada (Red Lagoon), a shallow salt lake of blood-like waters. The reddish colour is due to red sediments and algae. The lagoon is a favourite hang-out for several species of flamingoes. This was the highest point of the journey, standing at a whooping 4,278 meters above sea level. That night, we slept at a hostel nearby. It was a very cold night so I chose to rent a sleeping bag; I was nice and toasty all night long. Soon before sunrise, I woke up because I wanted to pee. However, according to my logic, 40 minutes more of sleeping time were not worth the shock of getting out of my warm cocoon to go to the bathroom. So I just read a bit while waiting for it to be time to get up. After a warm breakfast we were on our way again. The night before, our guide Sandro, had told us that getting to the geysers would depend on the state of “the road”. But from what our inexperienced eyes could see, there wasn’t much of a road; everything was covered in snow! Along the way, our guide stopped to ask drivers coming from the opposite direction about the state of the roads. Everyone seemed to agree that there was no way to get to the geysers that day. Since I had already seen a big geyser field in Chile, I wasn’t too disappointed. Then, we came across a single 4×4 truck that was stuck deep in the snow. The poor driver was alone with a group of tourists and didn’t even have a shovel to get out of that mess. Our team stopped to help out; and after some digging, all the guys pushed the truck. We continued our journey deeper into the high plains. After the incident with the stuck truck, I wondered what would happen if one (or both) of our vehicles failed. We were in the middle of nowhere, there wasn’t a town for kilometres on end, there was no mobile signal, and it was freezing cold outside. Despite being an organised tour, this excursion had a definite element of adventure. Before I could get carried further away in my thoughts, we had arrived to the iconic stone tree. A rock formation that resembles a tree, or the World Cup, depending on who you ask. Just as the other sites, it was surrounded by snow. It was a strange experience, all the photos I had seen were set in a desert like landscape and there we were with our feet deep in the snow. From there, we continued on to Laguna Chiarcota and Laguna Hedionda (Stinky Lagoon), where lots of flamingoes were scattered doing their thing. 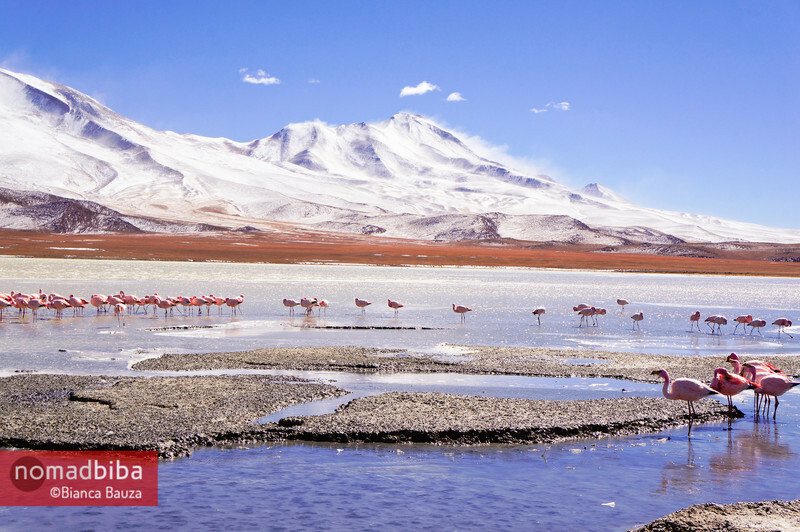 I’d never thought much of flamingoes, but learning about how they live in the harsh environment of the altiplano made me admire them. These are some tough birds! A bit further, we stopped on the shores of Laguna Cañapa to have lunch. It was a very windy afternoon and we were still at 4,140 meters above sea level. But after this, we’d start descending all the way to the Salar de Uyuni where it was much warmer than here. Our last sight for that day was an abandoned town, not too far from the Salar. It was a very eerie looking place. Apparently, the people from the town decided to move away when the military base was closed down. It was spooky to walk around its empty streets. I was expecting someone to appear at any moment. The night before, we all agreed that we wanted to wake up super early to see the sunrise at the Salar de Uyuni. We were all really sleepy and quiet on the way to the salt flats. But once we entered this scenic expanse of white grounds we started to get excited. Once the vehicle stopped, we all got out at once and we in awe at the sight of the sun rising over the Salar, casting pink and purple lights on the Andes mountains over the horizon. This was without a doubt, one of the most beautiful moments of my trip so far. When we were finished taking photos playing with the perspective and the sun, we headed to Isla del Pescado (Fish Island). They’ve named it like that because when viewed from a certain angle it looks like a fish. The most interesting thing about this place however, are the giant cacti that inhabit the island. Some of them were about 10 meters high, which would make them 1000 years old since they grow at a rate of 1 cm per year. 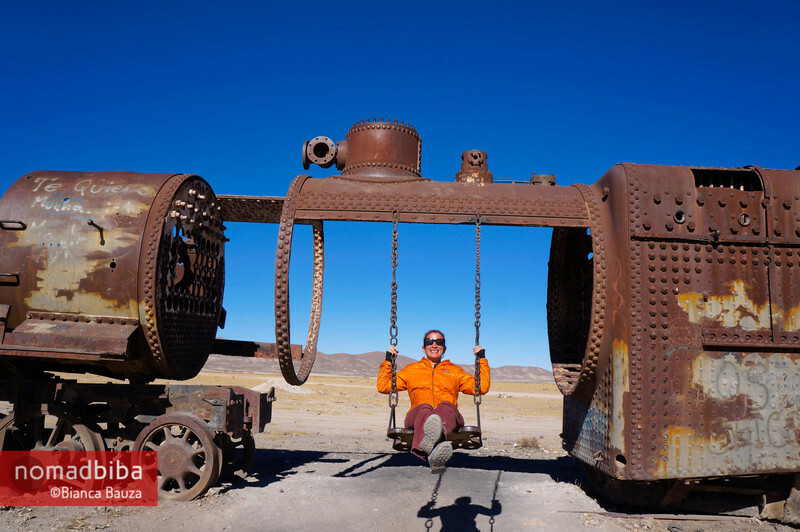 There were a couple of stops left on the tour before getting to the rundown town of Uyuni: first, a lunch stop at the salt museum (I decided not to go in and preferred to just hang outside); second, the famous train cemetery where there are a bunch of abandoned and rusty machines. 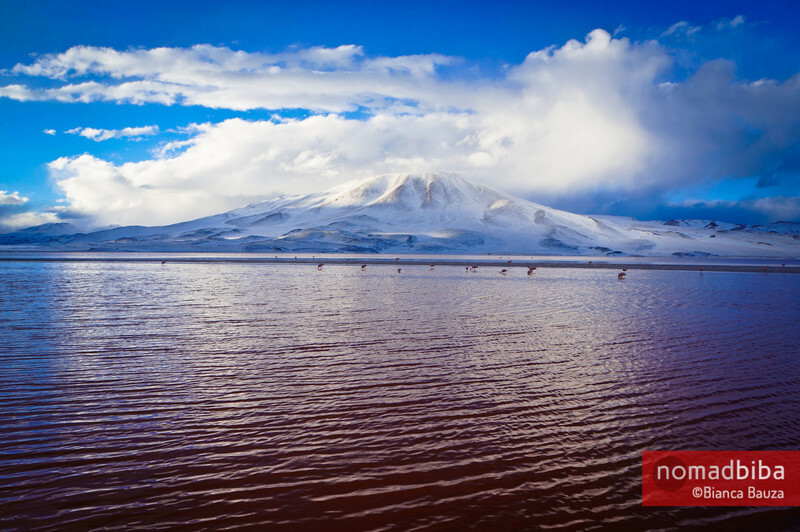 The trip to the Salar de Uyuni was definitely one of the highlights of my travels in South America. We saw some really unique and surreal landscapes. Plus, I have to say that watching the sun rise over the salt flats is one of the most beautiful and serene sights that I’ve seen. 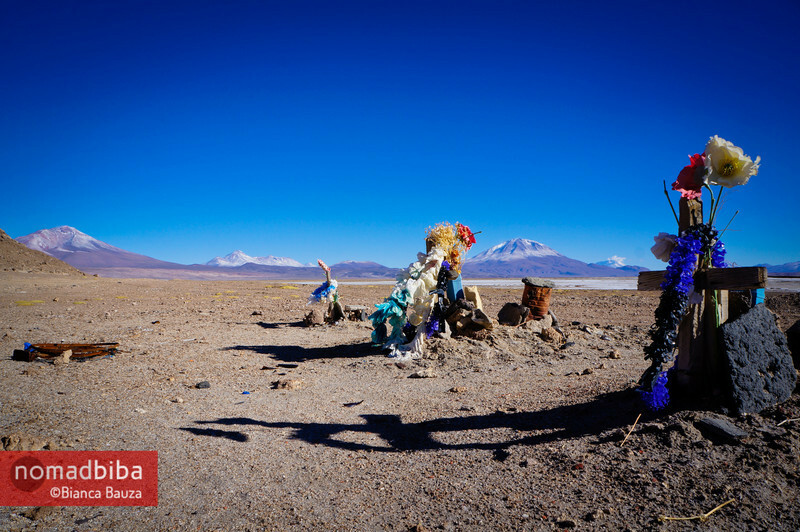 For all of my photos from my trip through the Salar de Uyuni, have a look at my gallery. Stunning photos Bianca! This is getting me really excited for my trip to Uyuni in a month or so :) what company did you end up going with? I’ll be doing the opposite route to you, from Uyuni and down into Atacames, but I’d love a recommendation! Gracias, Flora! You’re going to love it! It’s really beautiful over there. I went with Cordillera Traveller, they have offices in Uyuni and San Pedro de Atacama. They were good, specially our guide Sandro, who was very professional. Whatever agency you chose, try to get a recommendation from other travellers. I’ve heard many complaints about drivers speeding and/or drinking. In fact, when I was in Valparaiso, I met a Dutch couple who’d done the trip and they said their driver was so drunk that the guy had to take the keys away and drive himself the rest of the way in the Salar! Thanks Jenna :) It really is an unforgettable place! Oh Bianca – you made me want to go back there. When I went it was pretty warm, it looks all so different with the snow and so colorful. I love the photos and the contrasts!!! I love your Arbol de Piedra photo. I never crossed into Bolivia but explored the Altiplano Lagoons on the Chile side. It is a very unique place on earth. No other landscape like this. Thanks, Eduardo! I agree with you, this area is very unique; I also had a chance to see some of the lagoons on the Chilean side and they were also stunning. 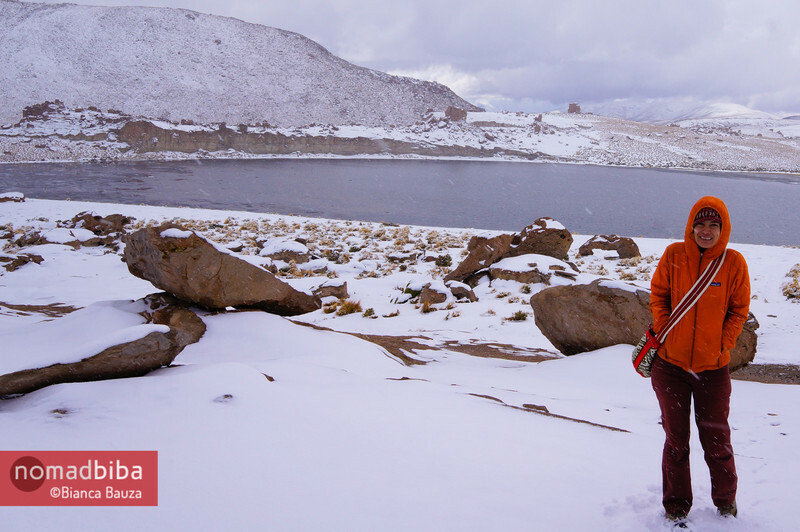 Next time, you should visit Bolivia; I’m sure you’ll love it! WoW those photos are so stunning ! I would love to go there. Looks like you had a quite adventurous but unforgettable trip. Thanks, Freya :) Yes, the Salar de Uyuni was definitely an unforgettable adventure; but I’d love to go back and see it when the temperatures are warmer and when there’s a bit of water on the ground, which creates a really cool mirror effect! Oh, this looks soo cold, but stunning. I can’t wait to go there next year. LOL Yes it was very, very cold Tammy! 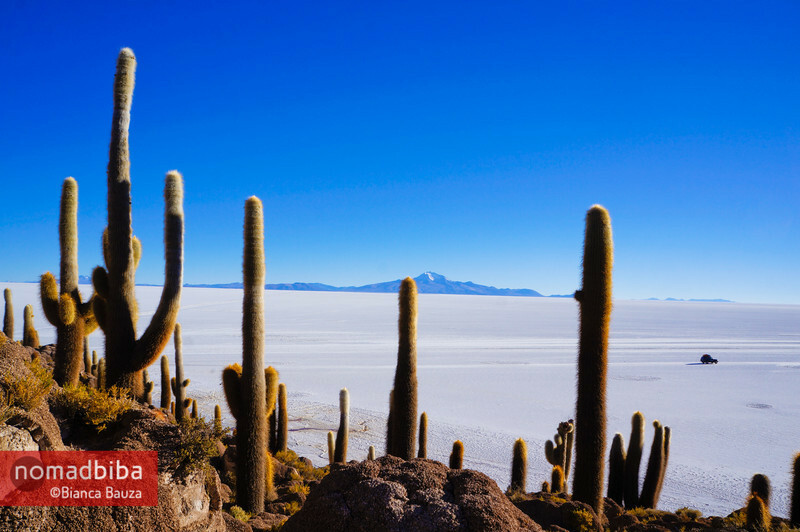 But the Salar de Uyuni is one of those places you shouldn’t miss if you’re travelling around South America. Enjoy your trip! Gorgeous photos Bianca, it looks awesome! Did you know two Italian runners RUN across the whole thing?? 137km in 15h54’. Crazy. I just heard about it yesterday on the radio, here is a short video if you’re interested: http://www.youtube.com/watch?v=dUM7vBh_R6c. Grazie mille, Oriana! It was really awesome :) Wow, I can’t imagine how it must feel to run across the Salar! That’s quite a challenge… I wonder how they ended after such a long run! That beautiful sunrise shot shows how important it is to choose the right outfitter/tour company for this trip. I was there this past March. 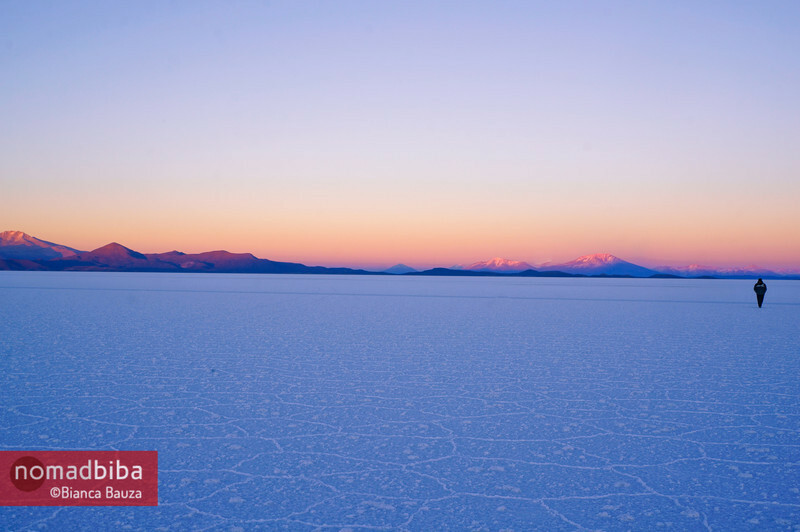 Catching the sunrise on the Salar itself was part of the itinerary –as it is for most, if not all of the companies who offer the tour heading from San Pedro to Uyuni– but our driver refused to live up to that. He kept coming up with excuses but essentially he didn’t want to get up that early on the final morning. It’s interesting to see your wintery shots. It was cold in late March, but we had no snow. Also no clouds while driving over the Salar which meant no dramatic reflections. It was still phenomenal, one of the most amazing landscapes on the planet. Thanks, Bob. That really is a shame about your driver… Unfortunately, it happens sometimes that guides are not up for doing their job and look mostly for their own interests. I’ve heard similar stories about guides not doing what they are supposed to do at different sights. Beautiful photos! We are travelling in Salar de Uyuni next month, i hope my photos will be at least slightly good as yours. We will travel in same direction like you, from San Pedro de Atacama to Uyuni and I’m looking forward to it. Can you just tell me how much the tour cost with Cordillera Traveller and where did you find bolivianos for entrance fee into Salar? Thanks, guys! Sorry for the late reply. 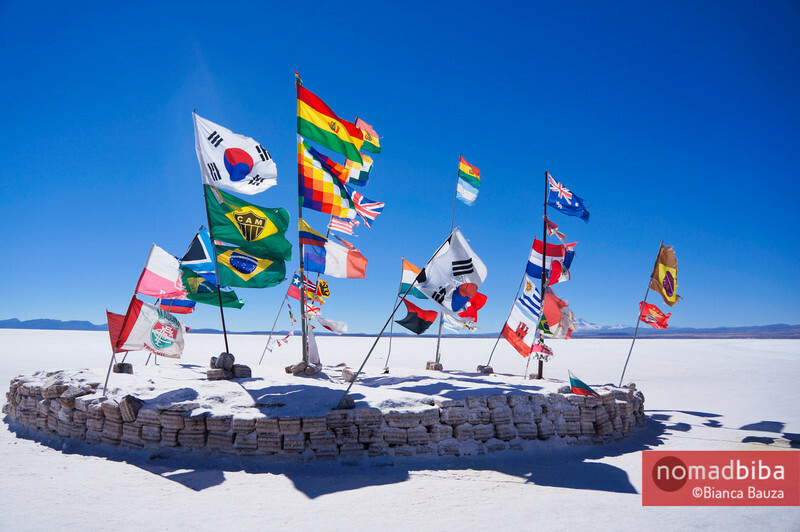 I went in the Uyuni tour as part of my collaboration with Viventura, so they took care of arranging it for me. To find bolivianos, I followed one of the streets that borders the main plaza (I think it was called Toconao) and found a few places that exchange money. I just asked around who would give me the best deal. I hope this helps :) Have a great time at Uyuni! Thank for sharing your experience! I just wanted to ask – In October, the mirror effect from the rain appears to be very minimal from your pictures. Is that true, with the weather be consistent in October, or what just happened to happen during your trip? Thank you in advance, I look forward to your reply at your earliest convenience! Hi Kato! I actually was there in mid-June. It was early winter, that’s why there was a lot of snow and it was colder than other times. There is almost no rain during that time. I think that the rain season is in January – February, if I remember correctly what my guide said. He also said that during the rainy period, access to some places of the salt flats is restricted for independent travelers. During those months it seems it’s best to go with a guided tour. He said that because of the water you don’t have the tire tracks to guide you so it’s easier to get lost. In any case, the Uyuni salt flats are a very impressive site no matter when you visit :) If you have any more questions just let me know!